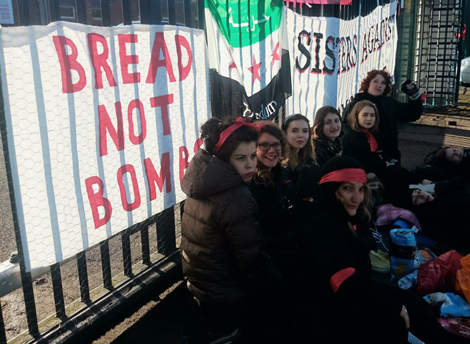 Sisters Against The Arms Trade are protesting today at the MBDA missile factory in the UK, closing its operations. MBDA are manufacturers of the Brimstone missile, a weapon which played a key role in David Cameron’s arguments in favour of precision British airstrikes. Since the vote in favour of airstrikes, the UK has bombed oil wells and tankers, but left alone the Assad regime, the No.1 customer for ISIS oil. 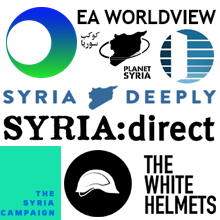 Now Assad and his allies are escalating their bombardment of Syrian civilians while the UK stands by offering nothing but words in response. The Assad regime and its allies are maintaining starvation sieges against Syrian civilians while the UK refuses to drop aid. The Assad regime’s violence is driving more and more Syrians to flee, while the UK refuses to give sanctuary to unaccompanied child refugees. Over 470,000 people have been killed since the war began, and an estimated 4 million are living as refugees. 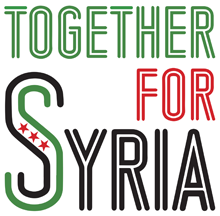 In November 2015, Parliament made the decision to bomb Syria despite widespread condemnation by the British public, and just over a week ago voted against a proposal that would have seen the UK accept 3,000 Syrian children from refugee camps in Europe. Read the Sisters Against The Arms Trade press release in full here. Activists read a letter from women of the besieged town of Daraya. 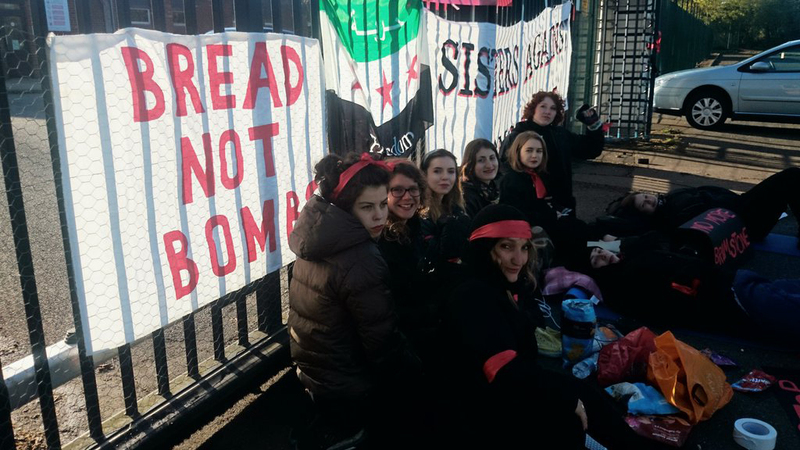 Read the words of the Daraya women here. #Women4Syria statement in solidarity with the women of Daraya.